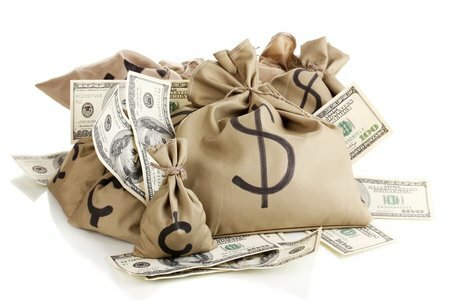 Maybe you’ve taken the SAT or ACT and got a really good score, but you aren't sure how to get the most money out of it. Or maybe you haven’t taken the SAT or ACT yet but are wondering how important the tests really are. One way you can make the most of your score is by finding guaranteed SAT scholarships or guaranteed ACT scholarships. In this post, we'll show you some of the scholarships for high SAT scores and scholarships for high ACT scores that you can get. You can earn thousands of dollars in scholarships based just on your test scores. Curious to see how? We'll show you where you can get scholarships based on ACT scores and scholarships based on SAT scores. This post focuses on scholarships offered by colleges and universities themselves. Why? Many private scholarships, while lucrative, feature full, college-admission-like applications, including letters of recommendation and essays. Lots of other smaller scholarships are based on essays, personal circumstances, or even your parent's employer. While we are not discouraging you from applying to these, this post will focus on scholarships any student can earn automatically from universities just based on their test scores and GPA or class rank. We will highlight some of the most searched-for universities and best opportunities, but this is not a comprehensive list. We will also show you how to look up this information for any college you’re interested in. Before we get into the scholarship list, we'll also highlight another source of money based mainly on test scores: National Merit. As we have covered in past posts, the National Merit competition recognizes the top PSAT (Practice SAT) scorers in each state. While there is a $2,500 scholarship you can earn through the competition itself, you can also get big scholarships from colleges by listing them as your first choice through National Merit. You can get anything from a small scholarship to a full ride, depending on the school. As a rough rule of thumb, public universities are more likely to give more money for National Merit, though there are exceptions. For example, you can get a full ride scholarship at the University of Idaho and the University of Oklahoma. You can read more about this opportunity at Baylor's website. But this is just the tip of the iceberg of National Merit scholarships. To learn more about sponsoring universities, read here. Now we will highlight colleges that give automatic scholarships based on SAT/ACT scores, as well as qualifiers like GPA or class rank. For these scholarships, you don’t have to submit any extra application information, but in some cases, you have to apply by a certain deadline to be guaranteed the scholarship. Be sure to check out each college's website, which we will link to, for full info. In addition to the National Merit award highlighted above, Baylor University also offers scholarships based on SAT/ACT score and class rank. Baylor does not have set cut-offs for these award tiers but bases the awards on SAT/ACT score and class rank. They do have a scholarship estimator you can use to predict your award amount. As an example, based on the estimator, a 36 ACT with a high class rank (5/500) gets you a President’s Gold scholarship of $22,000/year. A 34 with the same rank also gets you $22,000, a 32 gets you $20,000, and a 28 gets you $16,000. While these are all high amounts, note that increasing your ACT from 28 to 32 gets you $4,000 more dollars each year—$16,000 over your whole college career. Or, to take another example, if your class rank is 250/500 and you have a 24 ACT, you don’t qualify for a scholarship. But if you have that same rank but a 27 ACT, you can get a Founder’s Gold Scholarship of $10,000 per year. In other words, a 3-point ACT increase, which is definitely possible with some smart studying, can earn you $40,000. That’s amazing! Check out Baylor’s scholarship page for more information and to try the scholarship estimator for yourself. At Clemson, South Carolina residents will receive the Trustee Scholarship of $1,000 if they are ranked in the top 10% of their high school class and also have at least a 1270 SAT (Math + Critical Reading) or 27 ACT. 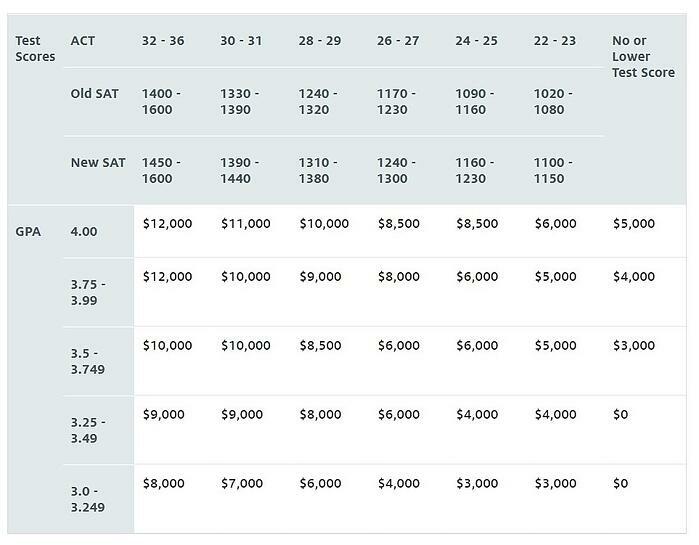 Non-residents with at least a 1360 SAT or 29 ACT and ranked in the top 10% of their class will receive a renewable scholarship of at least $7,500. The scholarship page notes “Students with higher test scores will be considered for these merit scholarships up to $15,000 annually.” So although they don’t have hard numbers, you can double your scholarship if you have higher scores. Read more on Clemson's scholarships over at their website. Note that score increases net you more money: to take just one example, going up 3 ACT points or 1300-1390 can get you $1,500 more dollars! Learn more about scholarships at CSU for residents and non-residents at their website. FAMU offers a Distinguished Scholars program that covers the cost of tuition for both in-state and out-of-state students with at least a 1350 on the new SAT (with a math score of at least 650) or 30 on the ACT (with a math score of at least 30) and a FAMU recalculated GPA of at least 4.0. So if you have at least a 3.0, a 2-point ACT increase gets you $1,000 more dollars. Read more about scholarships on FAMU’s admission website. FGCU has scholarships based on GPA and SAT/ACT score, but you have to apply by November 15th to be considered. Learn more about scholarships and the application process at FGCU's website. Georgia State calculates automatic scholarships based on GPA and SAT/ACT score. They don't publish eligibility information, but you could earn anywhere from a $500 one-time scholarship to a $3,000 renewable scholarships. You have to apply by March 1st to be considered for these awards. You can learn more about LSU's other scholarships, as well as the three listed here, over at their scholarships page. These Presidential Scholarships are automatic and are guaranteed if you apply by February 1st and are admitted to Texas Tech by April 15th. 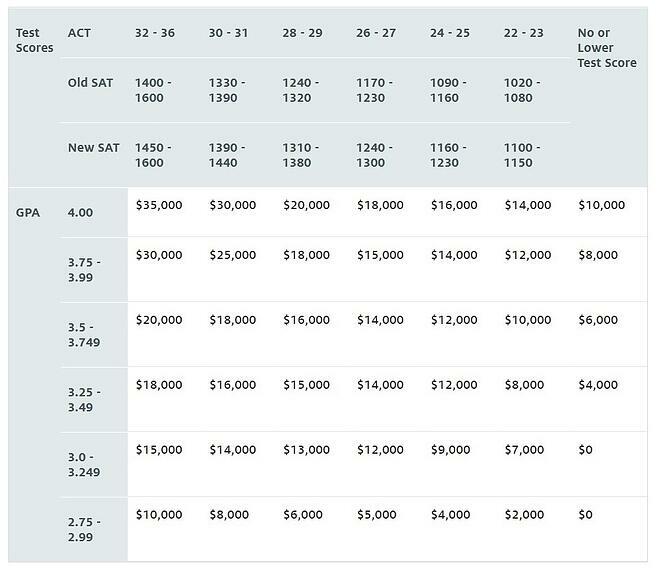 Note that 1-2 point ACT increases and slight SAT increases could increase your scholarship by $1,000 per year. Read more about the scholarships at the TTU website. 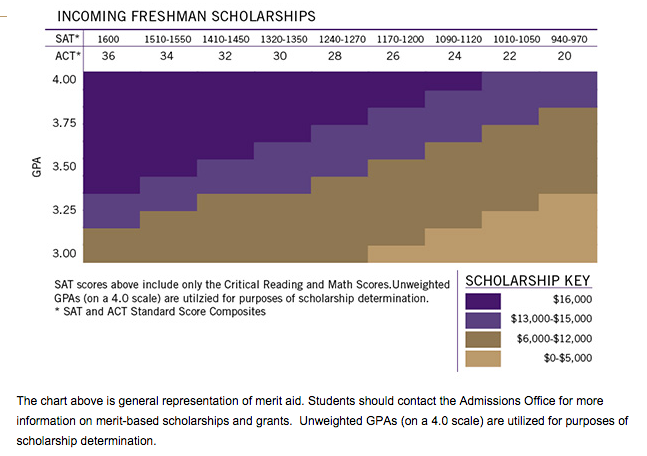 The University of Arizona uses test scores and GPA to calculate scholarship award ranges. In-state awards are called "Wildcat Excellence Awards," and out-of-state awards are called "Arizona Excellence Awards." 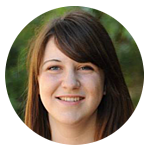 Learn more about scholarships at University of Arizona at their website. At the University of Mississippi, you can earn an Academic Excellence scholarship based on your GPA and SAT/ACT score. Their admissions website notes that “Entering freshmen, minimum 3.0 high-school GPA. a minimum 25 ACT (1130 SAT or 1200 SAT-R)” are considered for the Academic Excellence scholarship. You are automatically considered after being admitted to the University of Mississippi. Note that the GPA requirement does not increase over the table, only scores. An ACT increase of one point or SAT increase of just 10 points can get you over $1,000 more per year, and that’s not including the non-resident fee that also gets decreased. See more at the University of Mississippi's scholarships page. The University of Missouri has a handful of scholarships that are automatic, based on class rank and SAT/ACT score. There are scholarships for both in-state and out-of-state students. You can learn more about University of Missouri's scholarships here. UNLV has the Rebel Challenge scholarship for non-resident students. The award amounts are based on GPA and SAT/ACT score, but are first-come first-serve, which means the earlier you can apply, the better. Read more about this scholarship here. You can also get additional money ($1,000 per year) if you are in the top 10% of your graduating class, and even more money if you are the valedictorian! If you’re a Nevada resident and want to learn about other scholarship options, check out their freshman scholarships page. 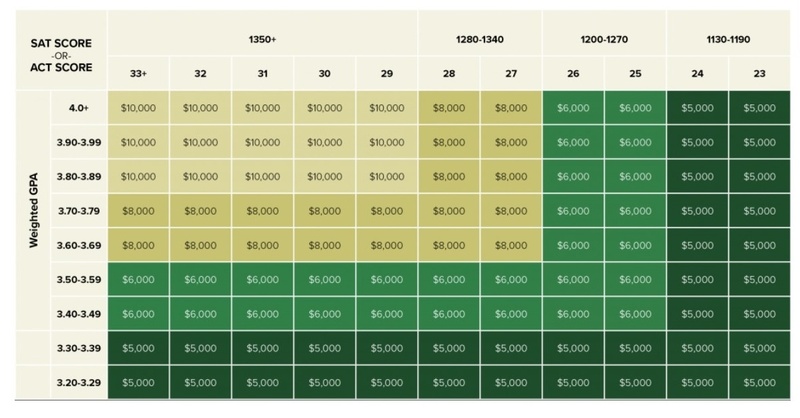 Note that if you raise your ACT from 25 to 26, or SAT from 1220 to 1250, your award can increase by $3,000 if you’re a resident, or $2,500 if you’re a non-resident. That’s a ton of money for just a few points! Learn more about the scholarship at Oregon's financial aid website. Learn more about the award at Tennessee's scholarships page. You will be considered for the following scholarships once you are admitted to the University of Texas at Arlington. Learn more about the award and the application process over at their website. At Utah State University, there are automatic scholarships (as well as admission standards) based on a combination of GPA and SAT/ACT score. The admissions office has created tables for both residents and nonresidents that you can use to see which scholarship you'd be eligible for. Note that a one-point ACT increase or 40-point SAT increase could be the difference between two years of full tuition and a four year, full-ride scholarship! Read more about admission and scholarships at USU's website. Although many universities don’t have automatic scholarships based on test scores, GPA, or class rank, many use these factors as cut-offs for scholarship consideration. So even though in these cases high scores don’t guarantee you scholarships, they are an important factor in being considered. Just like when you were a kid and couldn't get onto the roller coasters at the theme park, you won't even be considered for some scholarships without high enough SAT/ACT scores. For example, you’ll be considered for a full ride at Auburn University if you have at least a 33 ACT or 1450 SAT and a 3.5 GPA if you are an Alabama resident. If you’re a non-resident, you will be considered for an $18,000 a year scholarship if you have at least a 33 ACT or 1450 SAT and at least a 3.5 GPA. If that’s out of your range, you could be considered for a $4,000 a year scholarship at Auburn if you have at least a 28 ACT or 1300 SAT, a GPA of at least 3.5, and are an Alabama resident (They have other scholarships for non-residents, too). 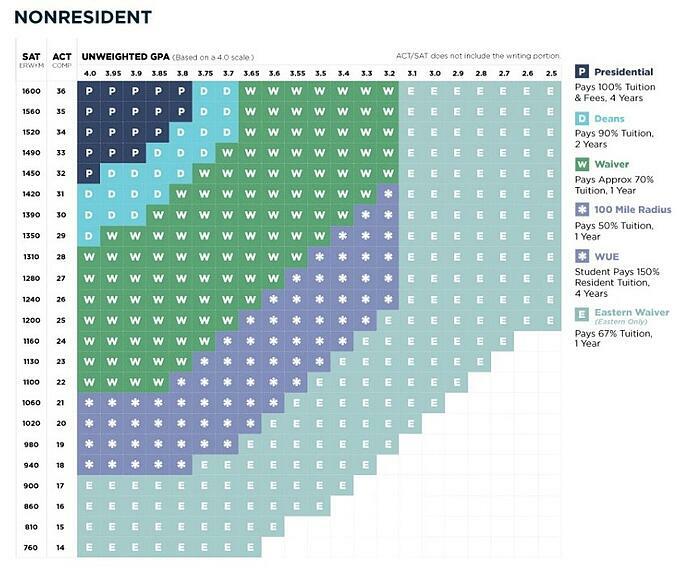 So are these scholarships guaranteed even if you meet these minimum scores? No. But you won’t be considered for them at all unless your ACT or SAT score is above a certain level. Many other colleges have GPA and score cut-offs for scholarship consideration, so the higher you can get your scores, the more likely you are to earn merit scholarships. The examples of scholarships above are just that—examples! It isn’t by any means a full list of every university in the country where you can get automatic money for your ACT or SAT score. So how do you find that information? Search for merit scholarships. The majority of scholarships given for test scores and GPA are merit scholarships—in other words, they are given based on your achievements, unlike need-based scholarships, which are based on your demonstrated financial need. 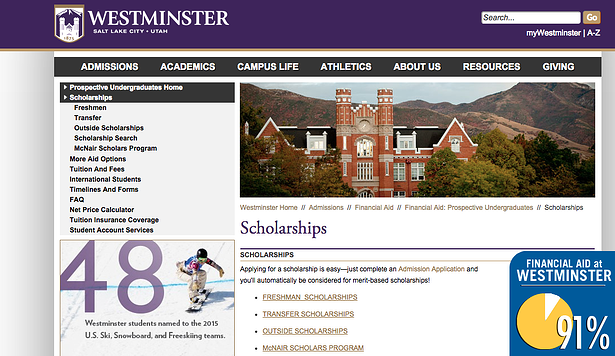 Make sure to look for pages titled “Merit-Based” or “Academic-Based” scholarships. 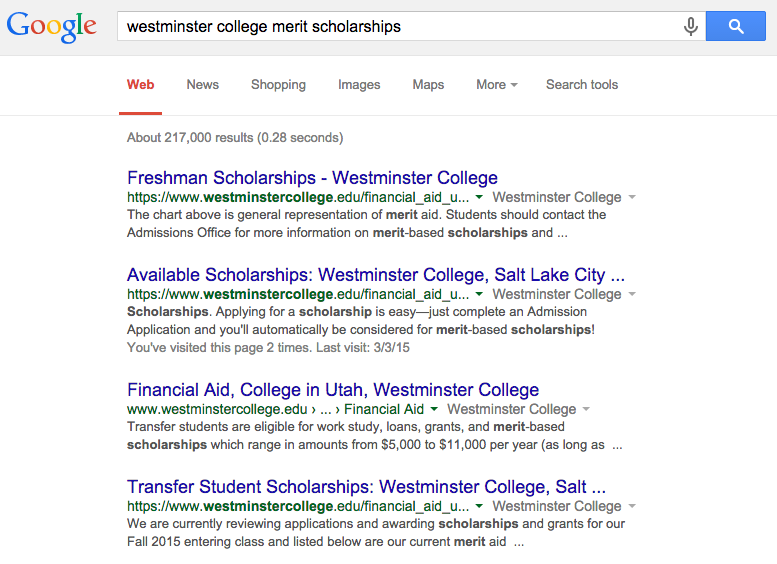 Many colleges and universities have separate pages for merit scholarships that a simple search will pull up. If you do not see one, try searching “[College/University Name] Scholarships” or “[College/University Name] Financial Aid.” If you start at the university’s financial aid section, you can find information on scholarships (both merit and need-based) from there. If you can’t find the information online, try contacting either the financial aid or undergraduate admissions offices. Make sure the scholarships you find are specifically designated for “Entering Freshmen.” These are the scholarships that will apply to you as a high school student applying to college. See if the college makes a designation between in-state and out-of-state applicants. In some cases, state universities will give bigger scholarships to non-resident applicants since out-of-state tuition is higher. 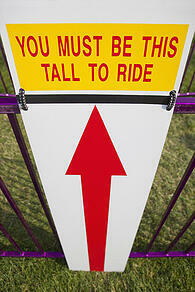 Sometimes there are also differences in requirements and cut-off scores. Check if there are separate application requirements or deadlines. Scholarship money is limited, so in general, the earlier you can apply, the better. Use the steps below to look up whether there are automatic scholarships at any of the colleges you are interested in. I'm searching for a college in my home state of Utah. I see that there are different scholarships for freshman and transfers. Also, note that they say you can apply for a scholarship just by submitting an application. Looks good so far! Under scholarships, I select "Freshman Scholarships." If you see a table or index with GPA and test scores you’re in luck, you’re likely looking at scholarship guidelines or automatic scholarships. In Westminster's case, it looks like these are the amounts they generally give for certain GPA and test scores, though they say the chart is a "general representation," so these amounts might change based on other info in the application. 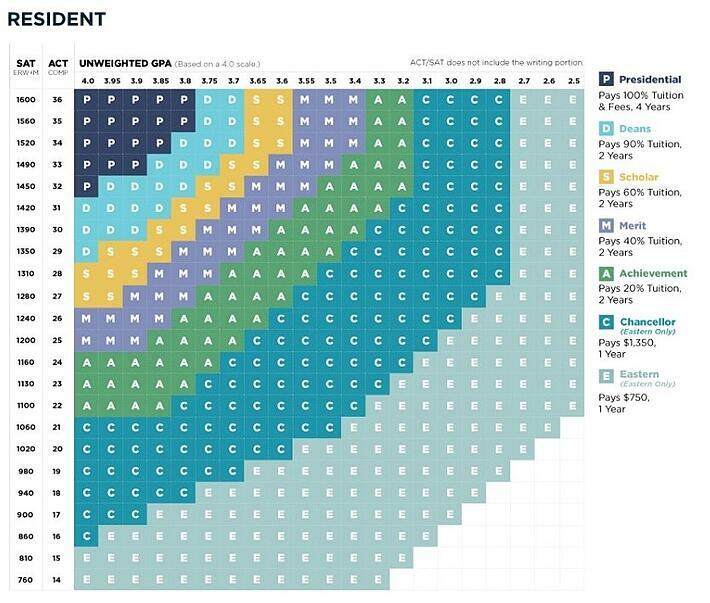 So it looks like at Westminster College you have a very strong chance of earning a scholarship if your GPA and SAT/ACT score fall somewhere on this table. As I mentioned above, there is no separate application for scholarships in this case. Westminster is a good bet for an automatic scholarship, and the higher your scores, the more money you are likely to get. You can repeat this process at any school you're interested in, but keep in mind that automatic scholarships are relatively rare (especially at more selective schools), so you may not find anything. Some schools don't have merit-based scholarships but do have very impressive need-based financial aid packages. However, those schools are often prestigious and top-ranked, and so they are the toughest to get into. Develop a target ACT or SAT score to be competitive for admission at competitive schools. Avoid some of the most common ACT mistakes to raise your score. Also, learn how to improve a bad SAT math score. Shooting for perfection? Get study tips from our SAT full scorer, and learn what it takes to get a 12 on an SAT essay or an ACT essay. Halle Edwards graduated from Stanford University with honors. In high school, she earned 99th percentile ACT scores as well as 99th percentile scores on SAT subject tests. She also took nine AP classes, earning a perfect score of 5 on seven AP tests. As a graduate of a large public high school who tackled the college admission process largely on her own, she is passionate about helping high school students from different backgrounds get the knowledge they need to be successful in the college admissions process.